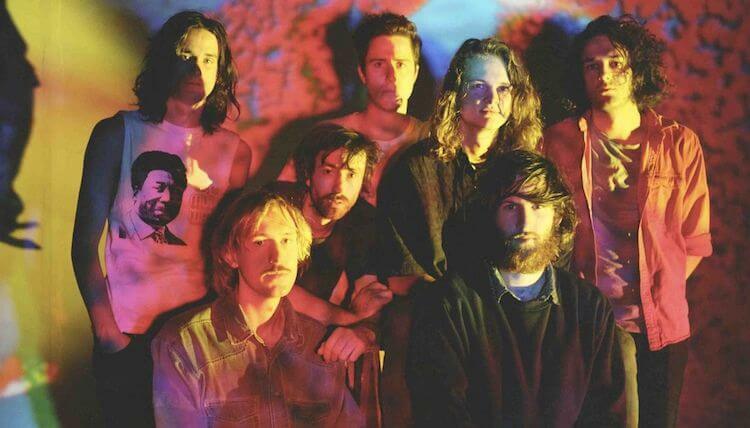 La banda australiana de rock psicodélico King Gizzard and the Lizard Wizard ha anunciado la reedición de sus primeros 4 álbumes y primer EP en vinilo vía el sello Flightless. Los discos llegarán en diferentes, colores, nuevos artworks, nuevas notas interiores y con más detalles. Serán ediciones especiales de tan sólo 5.000 copias y verán la luz el próximo 2 de noviembre. ‼️REISSUES CONFIRMED‼️⁣ ⁣ We are extremely excited to announce that our first 5 albums will be reissued on 12” vinyl for the first time this year with re-imagined artwork, packaging, liner notes and wax colours via @flightlessrecords ⁣ ⁣ Special edition Pre-order goes live Friday 14th September, 2018 @ 9am AEST.⁣ ⁣ FLT-001R: 12 Bar Bruise⁣ ‘Muckraker Edition’ limited to 5000 copies worldwide. ⁣ ⁣ FLT-005R: Eyes Like The Sky ⁣ ‘Gun Smoke Edition’ limited to 5000 copies worldwide. ⁣ ⁣ FLT-006R: Float Along – Fill Your Lungs⁣ ‘Kale & Banana Smoothie Edition’ limited to 5000 copies worldwide.⁣ ⁣ FLT-009R: Oddments⁣ ‘Hot Wax Edition’ limited to 5000 copies worldwide. ⁣ ⁣ FLT-040: Willoughby’s Beach EP⁣ ‘Ocean Death 12” Edition’ limited to 5000 copies worldwide. ⁣ ⁣ There will also be standard editions in stores worldwide from November 2nd, 2018. ⁣ ⁣ R.I.P Bootlegs.